I’ve been fascinated by lichens since I studied them on a biology field trip to Pembrokeshire many moons ago (geeky, I know). Although they look like weird plants that only grow in barren rocky landscapes they are actually microrganisms. Or rather, they are a collection of symbiotic microorganisms; a fungus and a cyanobacterium or green algae colonised by lots of other bacteria. They have been around for 600M years!! A new study reportsthat lichens make a class of antibiotic called pederins only previously seen in bacterial symbionts of Paedurus beetles. The researchers used metagenomics (sequencing all of the DNA from all of the microorganisms in the lichen at the same time) and then looked at this big mix of DNA to see if they could find any genes involved in making antibiotics. Voila, they found a gene cluster for a pederin-type compound and then purified it, solved the structure and called it nosperin. This work is exciting because it suggests some antibiotics may be specific to symbionts, even when they are distantly related (in this case, beetles and lichens)! 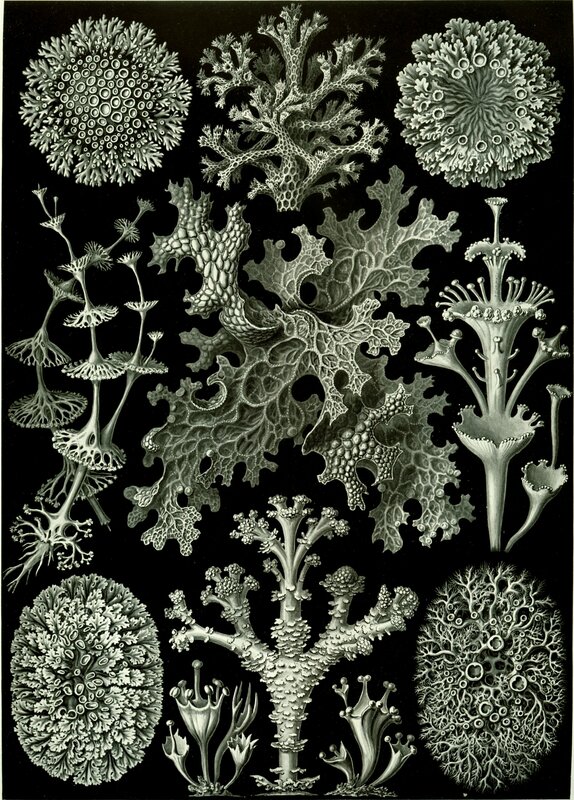 It also suggests that the lichen symbiosis, like others we have written about (e.g. fungus growing ants and marine sponges), could be a source of novel antibiotics. So lichens might provide us with yet another untapped and unusual niche for natural product discovery which could eventually mean new antibiotics and new anticancer compounds in the clinic (hurray!). For me at least, this will be easier than sampling the marine environment, because we don’t have any submarines where I work. « Clues to the evolution of disease?